Happy New Year! 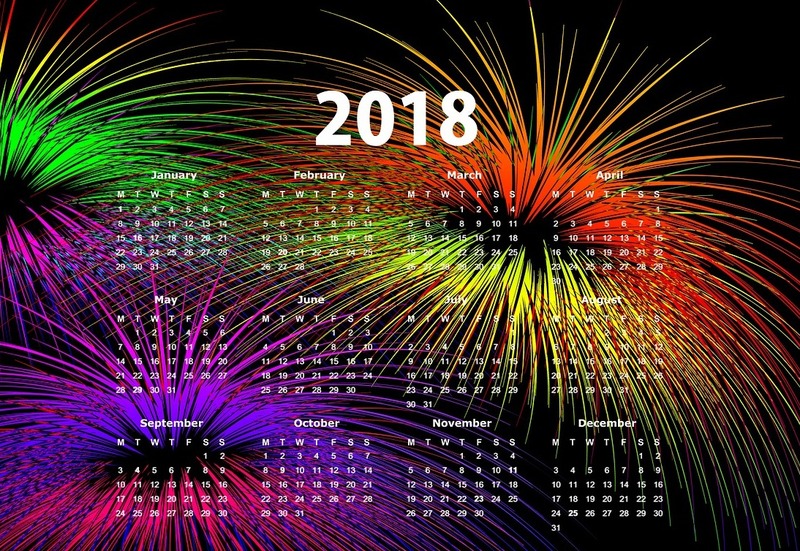 Did you turn the calendar to 2018 and stare in disbelief? It seems we flipped the page to 2017 yesterday. Do you have the impression time seems to race by as we age? In a recent conversation, a friend and I reflected that we now celebrate Christmas as grandparents, and observe our children do the same things we did as young parents: assemble toys, read the Christmas story, and play on Christmas day. It seems as if it were yesterday our children were wearing footed pajamas and squealing with delight on Christmas morning. Grandparent or not, on January 1, we reflect on the past year. We think about what we did, and what we neglected; what we hoped for and what happened…or didn’t. We look at who we were this time last year, who we are, and who we are becoming. In January, we have hope for a fresh start with a new year, and some determine (hope) the coming year will be different. We make plans–goals or resolutions-to eat healthy, shed a few pounds, read the Bible through, exercise more, develop relationships with friends and family, make career goals, not repeat mistakes, watch our words, heal wounds, and/or expand our minds and learn new things. We enthusiastically think about our resolutions, and in January, determine to keep every one of them. Unfortunately, by February, some of us belong to the “resolution drop out club”. Perhaps our resolutions or goals were too ambitious or unrealistic in terms of time, money, or other responsibilities. We may meet with an obstacle and forego our plans. Although initially, an idea was appealing, as we work through our plan, it doesn’t personally relate as we thought it would, so we put it aside. Instead of a formal resolution with steps to achieve a goal, some people choose a Bible verse or a quote to live by in the coming year. Others choose a word to focus on and live out. 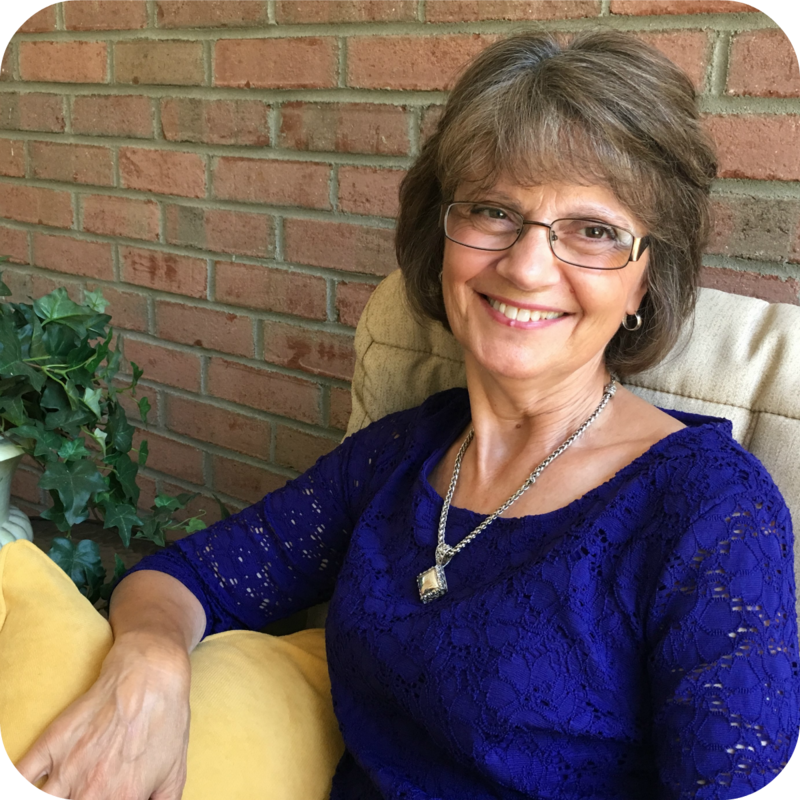 If that is something that peaks your curiosity, click over to http://thewriteconversation.blogspot.com/2017/12/my-one-word-for-2018.html#more and read my friend Edie Melson’s word and her reasons for choosing it. You can also take DaySpring’s #LiveYourFaith quiz to help your find your 2018 Word of Truth – one word that will help you focus on what God is calling you to accomplish in the year ahead. Whether you make resolutions, form goals, or choose a quote, verse, or word, at the heart of each is the desire for a fresh start and an opportunity to change for the better. 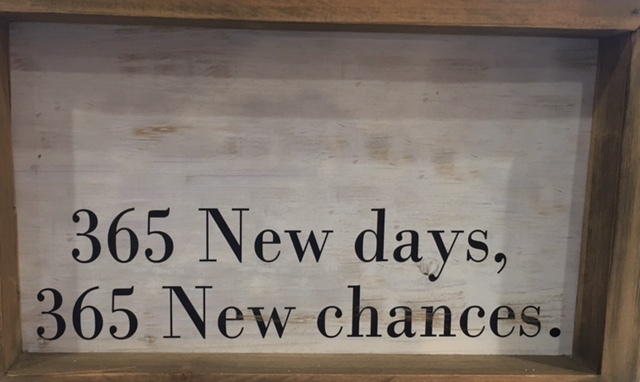 A few weeks ago, a sign in a friend’s kitchen caught my eye. I think it’s an encouragement whether you “drop out” or re-evaluate and change goals, or fall short of responding to your quote or word. You have the treasure of a fresh start every day. After all, it was just yesterday. Today is today. How are you approaching 2018? Please share in comments. I've found it's the resolutions which DON'T happen on New Year's Day that usually last–the ones where we just know we have to change and decide to start right then. So I love your point about each day being new and fresh. BTW – Still working on my one word for the year. Melanie, Lam. 3:22-23 is the perfect closing thought to this post. Those verses have sustained me for six years. As an early riser, too, God's faithful appearance in a sunrise and the mercy of a new day, give me an opportunity to say a prayer of thanks each morning. So thankful for afresh start! I am hoping to follow God's lead more closely this year. I am unsure about what my "one word" is right now, but "trust" seems to be it. I want to trust Him completely and follow Him wherever He goes. Happy 2018, Marilyn!